WARNING: THE CURRENCY CONVERSION APPLICATION (LICENSED SOFTWARE) AND ASSOCIATED DOCUMENTATION (TOGETHER REFERRED TO AS THE LICENSED MATERIALS) AVAILABLE ON OR THROUGH THIS SITE ARE COPYRIGHT AND SUBJECT TO THIRD PARTY INTELLECTUAL PROPERTY AND OWNERSHIP RIGHTS OF DYNAMIC CONVERTER ABN 715 744 191 34 (THE OWNER). THEY ARE LICENSED (NOT SOLD). PERMISSION TO USE THE LICENSED MATERIALS IS CONDITIONAL UPON THE CUSTOMER, (OR THE CUSTOMER'S AGENT) AGREEING TO THE LICENCE TERMS SET OUT BELOW. DO NOT PROCEED UNTIL YOU HAVE READ AND ACCEPTED ALL THE TERMS AND WISH TO BECOME THE LICENSEE OF THE LICENSED MATERIALS (OR IF ACTING IN THE CAPACITY AS THE CUSTOMER'S AGENT, WISH FOR THE CUSTOMER TO BECOME THE LICENSEE OF THE LICENSED MATERIALS). ACCEPTANCE BY SELECTING THE "I AGREE" CHECK BOX WILL BIND THE CUSTOMER (AND ITS OFFICERS, DIRECTORS, EMPLOYEES AND CONTRACTORS) TO THE TERMS OF THIS LICENCE. THE LICENCE WILL BE BETWEEN THE CUSTOMER AND "THE SITE OPERATOR" DYNAMIC CONVERTER [A.B.N 715 744 191 34] ("THE LICENSOR"). IF YOU DO NOT WISH TO ACCEPT THESE TERMS ANY ONLINE TRANSACTION FOR THE LICENSED MATERIALS WILL CEASE AND YOU WILL NOT BE PERMITTED TO USE THE LICENSED MATERIALS. 1.1. The Customer agrees that the associated Registration Order Form including details as inserted by the Customer or the Customer's Agent on the Registration Order Form shall be construed as forming part of this agreement. 1.1.1. The Customer acknowledges that it has registered for the Licensed Software by means of a subscription through the Offering Site. 2.1.2. if offered by the Licensor to the Customer, the Customer displaying the Advertising Material on the Designated Web Pages AND the Customer agreeing to receive the Licensor's Newsletter Service throughout the duration of the Subscription Period. the Licensor grants to the Customer a non-exclusive non-transferable worldwide subscription licence to use the Licensed Software on the Nominated Site in accordance with the terms of this agreement. 2.2. The Customer may change to the alternate means of consideration outlined in clause 2.1.1 or 2.1.2 at any time by written notice to the Licensor. 2.3. The licence granted under this clause commences upon the time of receipt of the Registration Order Form by the Licensor and is granted for the Subscription Period and all renewals of that period subject to the terms and conditions of this agreement. 3.1. At the end of the each Subscription Period this agreement shall automatically renew for successive Subscription Periods unless either party terminates the agreement in accordance with clause 25. 3.2. Unless this agreement is terminated in accordance with clause 4.1, the Customer will be deemed to have agreed to continue the subscription for the Licensed Software and Services for a further Subscription Period. 3.3. In the event that the Customer has elected the consideration method outlined in clause 2.1.1, the Customer must pay the Subscription Fee for each further period to the Licensor in accordance with the requirements and payment terms as notified by the Licensor to the Customer. 4.1.7. comply with the Licensor and Owner Requirements in accordance with the reasonable time frames as notified by the Licensor or Owner. 4.2.2. in accordance with the normal operating procedures as notified in the Documentation. 4.3.2. the Licensor has otherwise given its consent in writing to such alternate use. 5.1. The Licensor shall provide the Customer with the Documentation. 5.2. The Customer acknowledges that the Documentation contains sufficient information for the adequate use of the Licensed Software, except to the extent the Licensor has notified the Customer of any omission or deficiency or any variation which it considers necessary for the proper use of the Licensed Software. 5.3. The Customer shall not copy or reproduce the Documentation. 6.1. The Customer shall be solely responsible for the use, supervision, management and control of the Licensed Materials. 6.2. The Customer shall ensure that the Licensed Materials are protected at all times from unauthorised access, misuse, damage, destruction or any form of unauthorised use. 6.3. The Customer shall keep such records as requested by the Licensor in relation to the use of and subscription to the Licensed Materials. The Customer shall permit the Licensor to inspect such records at any time during the Customer's normal business hours. If the Licensor requests, the Customer shall furnish to the Licensor a copy of all or any part of such records and the Licensor shall be permitted to provide copies of those records to the Owner. (b) unless otherwise advised by the Licensor, immediately discontinue the use, supply and delivery of the former version of the Licensed Software. 7.2. Without limiting the Customer's obligations under this clause, and notwithstanding any other provision of this agreement, the Licensor and Owner shall be under no liability to the Customer in the event of loss or damage suffered by the Customer as a result of its failure to comply with this clause, and the Customer shall indemnify the Licensor and Owner in respect of any loss or damage suffered by the Licensor or Owner as a result of the Customer's failure to comply with the obligations under this clause. 7.3. This agreement will continue to apply in all respects to the New Release. 8.1. The Owner and Licensor will provide the respective Services to the Customer in such manner as they deem appropriate. 8.2. The Customer acknowledges that the Owner and Licensor have no obligation to provide to the Customer that part of the Services comprising user support, technical support, maintenance services, modifications, training, installation or removal services associated with the Licensed Software. 8.4. Where the Customer requests the provision of certain services which are not within the scope of the Services provided by the Owner or Licensor, the Owner or Licensor may provide those services and charge an Additional Charge to the Customer. The Customer must pay to the Owner or Licensor, the Additional Charges at the times and in such manner as directed by the Owner or Licensor. 9.1. The Customer must pay to the Licensor the Subscription Fee for the relevant Subscription Period at the times and in such manner as directed by the Licensor. 9.2. The amount of the Subscription Fee is determined according to the Licensor's schedule of fees and charges from time to time. The Licensor may vary its schedule of fees and charges at any time without prior notice to the Customer. 9.3. Unless otherwise agreed by the parties, the Subscription Fee will be non-refundable, regardless of whether the Customer ceases to use the Licensed Software; terminates or purports to terminate this agreement; is unable to install or have the Licensed Software installed on the Nominated Site; is dissatisfied with the Licensed Software; has/uses computer systems, software, operating systems and/or browsers that are incompatible with the Licensed Software; and/or ceases the operation, transfers, licences or in some other way disposes of the part or full ownership and/or management of the Nominated Site. 10.1. The Subscription Fee does not include fees for the installation of the Licensed Software on the Nominated Site. 10.2. The Customer is responsible for the installation of the Licensed Software on the Nominated Site and all matters relating thereto including the payment of any costs for such installation. 10.3. The Customer may engage the Installer to install the Licensed Software on the Nominated Site and in those circumstances, the Customer is solely responsible for any payment required by the Installer for the installation of the Licensed Software. 11.1. The parties acknowledge that the Licensed Software may be modified by the Customer and/or Installer to the reasonable extent required to make the Licensed Software compatible with the Nominated Site and/or operate in the Customer's reasonable Nominated Site preferred layout, format and/or appearance (and within the limits of the Licensed Software specifications) provided always that the Owner or Licensor may at any time, for any reason and at the Customer's expense, require the removal, change, or further modification of such modifications made by the Customer and/or Installer. 11.2.2. the Customer will fully indemnify the Owner and Licensor against all liability which may be incurred by the Owner and/or Licensor if such modifications infringe any intellectual property rights of a third person or otherwise cause the Licensor and/or Owner to suffer loss, damages or expense. 11.3. The intellectual property rights in any modifications made by the Customer or Installer to the Licensed Software shall be assigned to the Owner upon their creation without the need for further assurance provided such modifications do not infringe the intellectual property rights of any other person. The Customer agrees to procure the execution of all necessary documentation from any of its officers, directors, employees and contractors to effect the assignment under this clause. 11.4. Subject to clause 12.3, this agreement will continue to apply to the Licensed Software as modified, adapted or altered. 12.1. The Customer must not provide the Licenced Materials or Services, the Currency Exchange Rates or any information generated from the use of or associated with the Licensed Material to any third party, whether through a sub-domain web page, sub-licence, sale, through the Customer's acquiescence or any other means without the express written consent of the Licensor. 12.2. Unless otherwise agreed by the Parties, an additional Subscription Fee will be payable for each sub-domain located on the Nominated Site which uses the Licensed Software. The Customer will be solely responsible for the payment of any such additional Subscription Fee. 13.1. The parties acknowledge that at all times, that the Owner retains all rights, title, ownership, interest and intellectual property rights in the Licensed Materials including the processes, script, code, technology associated with the Licensed Software and subject to this agreement, any modifications of Licensed Software howsoever developed or devised. 13.2. Subject to the terms of this agreement, the Customer shall not modify, adapt, decompile, disassemble, reserve-engineer, copy, transmit, communicate, create derivative works, sub-licence, transfer, download, install or commercialize the Licensed Materials or authorize or permit any other person (either directly or indirectly) to do so. 13.3.3. any bureau or application service facilities to be provided on or through the Nominated Site or any other site in relation to the Licensed Software. 14.1. In the event that proceedings are brought or threatened by a third party against the Customer alleging that the Customer's use of the Licensed Materials constitutes an infringement of a third party's intellectual property rights, the Licensor may at its option and at its own expense conduct the defence of such proceedings. The Customer shall provide all necessary co-operation, information and assistance to the Licensor in the conduct of the defence of such proceedings. 15.1.4. this agreement constitutes its legal, valid and binding obligations and is enforceable in accordance with its terms subject to any necessary stamping and registration requirements and to equitable principles and laws generally affecting creditors' rights. 15.2.3. all details provided in the Registration Order Form are true and correct. 15.3.2. knows of no third party rights to the Licensed Materials except as otherwise provided in this agreement. 16.1. The provisions of the Trade Practices Act 1974 (as amended) and other laws from time to time in force in Australia may imply warranties or conditions or impose obligations upon the Licensed Materials which cannot be excluded, restricted or modified. Nothing in this agreement shall be deemed to exclude or seek to exclude any such conditions warranties or obligations and this agreement must be read and construed subject to any such provisions. 16.2.2. the repair of defects associated with the Licensed Materials. 16.3.2. the payment of the cost of having those Services supplied again. 16.4. Other than the express and implied statutory warranties by the Licensor as referred to in this agreement, all other warranties express or implied in relation to the Licensed Materials and Services are excluded. 17.1.7. that the Licensed Materials, Services and media on which they may be contained will be provided free of errors, defects or viruses. 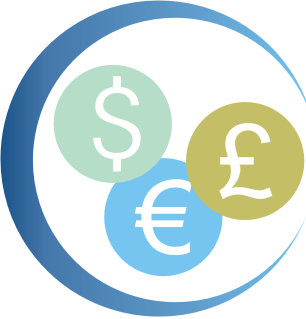 17.2.6. will not be provided in real time to the Customer to allow the continuous display of fluctuations in currency conversion rates. 17.3. The Customer agrees to post appropriate disclaimers and notices on the Nominated Site incorporating the information in this clause 18 or as otherwise directed by the Licensor. 18.1.11. any other event or circumstance referred to in clause 18. 19.1. Each Party (the Disclosing Party) agrees to provide their Confidential Information to the other Party (the Receiving Party) as is necessary for the performance of the obligations and duties under this agreement. 19.2. The Receiving Party shall hold in strict confidence all Confidential Information of the Disclosing Party and shall not directly or indirectly disclose all or any part of that Confidential Information in any manner whatsoever, in whole or in part to a third party except in accordance with the provisions of this agreement or in any other case with the prior written consent of the Disclosing Party. 19.3.4. provide such assistance as is reasonably requested by the Disclosing Party in relation to any proceedings that the Disclosing Party may take against any person for unauthorised use, copying or disclosure of the Confidential Information. 20.1.5. which the Licensor as Receiving Party is contractually bound to disclose to the Owner. 20.2.2. have executed an agreement with the Receiving Party substantially in accordance with the confidentiality terms and conditions specified in this agreement prior to the disclosure. 21.1. The Receiving Party agrees it shall use the Confidential Information solely for the purposes of and in connection with the performance of the obligations and duties under this agreement and any agreement between the Licensor and Owner. 21.2.6. without limiting 22.2.1 to 22.2.5 above, make any use, directly or indirectly, of the Confidential Information in a manner inconsistent with this agreement or without the express written instructions of the Disclosing Party. 22.1. Where the Receiving Party becomes legally compelled (by oral questions, request for information or documents, subpoena, civil investigative demand or similar process) to disclose any of the Confidential Information of the Disclosing Party, the Receiving Party will provide the Disclosing Party with prompt written notice so that the Disclosing Party may seek a protective order or other appropriate remedy and/or waive compliance with the provisions of this agreement. 22.2. Where a protective order or other remedy is not obtained, or where the Disclosing Party waives compliance with the provisions of this Agreement, the Receiving Party will furnish only that portion of the Confidential Information which it is legally required to provide and will exercise its reasonable best efforts to obtain reliable assurance that confidential treatment will be accorded to that Confidential Information which it is legally compelled to disclose. 23.1.2. without in any way compromising the Disclosing Party's right to seek damages or any other form of relief in the event of a breach of this agreement, the Disclosing Party may seek and obtain an ex parte interlocutory or final injunction to prohibit or restrain Receiving Party from any breach or threatened breach of this agreement. 23.2. The Receiving Party acknowledges and agrees that if any Confidential Information is used or disclosed by any director, officer, employee or professional adviser of the Receiving Party not in accordance with the terms of this agreement or pursuant to and in accordance with an agreement on similar terms required to be executed by such persons, then such use or disclosure shall be deemed to be disclosure by the Receiving Party and shall be a breach of this agreement. 24.1. This agreement may be terminated on 30 days written notice from one Party to the other Party. 24.2.5. the Customer ceases or threatens to cease conducting its business in the normal manner. 24.3.2. the obligations of the Parties to make a payment under this agreement which was due before expiry or termination. 25.1.5. do all other things necessary and reasonably required by the Licensor under this agreement. 25.2.3. be regarded as discharged from any further obligations under this Agreement. 26.1.2. the distribution, sale or use of the Licensed Materials either in Australia or overseas. 27.1. The Customer shall at its own cost, comply with all applicable laws, orders, regulations and directions of any governmental authority or other regulatory body having jurisdiction over this agreement and the Licensed Materials. 28.1. Clauses 4.1, 7.2, 11.2, 19, 21, 24, 25 and 28 shall survive termination of this agreement. 29.1. The Customer shall not transfer, assign or novate this agreement or any interest in this agreement and shall not grant or authorise any licenses under this agreement (other than the grant of sub-licences permitted) without the prior consent in writing of the Licensor. 30.1. This Agreement does not constitute the Customer an employee, agent or partner of the Licensor for any purpose whatsoever. The Customer is not granted any right or authority to assume or to create any obligation or responsibility (express or implied) on behalf or in the name of the Licensor or to bind the Licensor in any manner or thing whatsoever. 31.1.2. The Customer will be deemed to be bound by the terms of this agreement as if the Customer had registered itself and deemed to have agreed to these terms and responsible for fulfilling all of its duties under this agreement. 32.1. This agreement constitutes the entire agreement between the parties and supersedes all prior representations, agreements, statements and understandings, whether verbal or in writing. 32.2. The Customer warrants that it has not relied on any representation made by the Licensor which has not been stated expressly in this agreement. 33.1. Any failure by the Licensor to enforce any clause of this agreement, or any forbearance, delay or indulgence granted by the Licensor to the Customer, will not be construed as a waiver of the Licensor's rights under this agreement and will not prejudice its rights in respect of any subsequent breach of the agreement by the Customer. 34.1. This agreement shall be governed by and interpreted in accordance with the laws of the State of Queensland, Australia. 35.1. If any provision of this agreement is for any reason invalid, illegal or unenforceable, that provision must be severed from the remainder of this agreement. The remainder of this agreement remains in full force and effect unless the basic purposes of this agreement would be defeated. "Installer" means the person or entity nominated by the Customer that will/has installed the Licensed Software on the Nominated Site at any time before, during or after the Subscription Period and if applicable as nominated in the Registration Order Form. "Licensed Materials" means the Licensed Software and Documentation. "Nominated Site" means the Customer's website as nominated in the Registration Order Form submitted to the Licensor or as otherwise notified to the Licensor. "Offering Site" means the website of the Licensor on which the Registration Order Form is located and the Licensed Materials are available for subscription. "Registration Order Form" means the online registration form for the placing of an order to obtain a licence for the Licensed Materials and the provision of the Services. (b) other back-end services conducted by the Owner and associated with the use of the Licensed Software by the Customer. "Subscription Fee" means the fee payable for the use of the Licensed Materials for any relevant Subscription Period. "Subscription Period" means a period of a certain duration as either nominated in the Registration Order Form or as otherwise applies as a standard period determined by the Licensor. I ACKNOWLEDGE THAT I HAVE READ THESE TERMS AND CONDITIONS, UNDERSTAND THEM AND AGREE TO BE BOUND BY THEM.